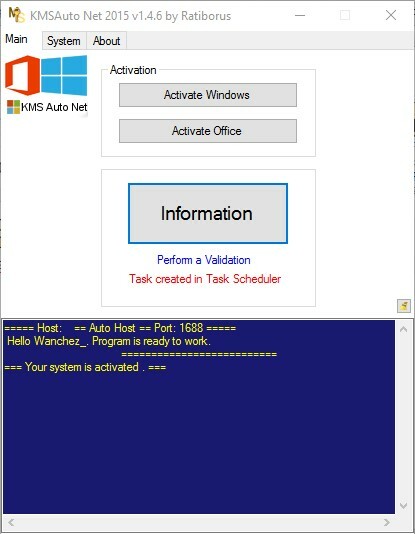 KMSAuto Net adalah software portable yang berfungsi untuk mengaktifkan Windows (Vista, 7, 8, 8.1, 10, Server 2008, 2008 R2, 2012, 2012 R2) dan juga Office (2010, 2013, 2016). software ini juga terbilang ringan, karena hanya berukuran 10mb, dan bersifat portable. New TAP driver to support Windows 10. A random IP address is used and when the activation fails check box is cleared. Re-compiled KMS Service. So antivirus software will not detect it as threat/false positive. Conversion from Office 2016 RETAIL to VL. 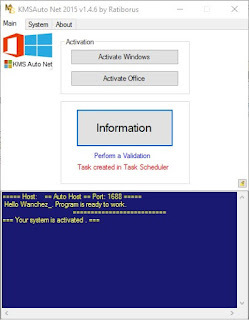 If Office is not installed, the button “Activate Office” is disabled.